Scientists have come up with yet another innovative approach to treating cancer: inducing hibernation in patients to decelerate all bodily functions, including the spread of malignant tumors in healthy tissues. 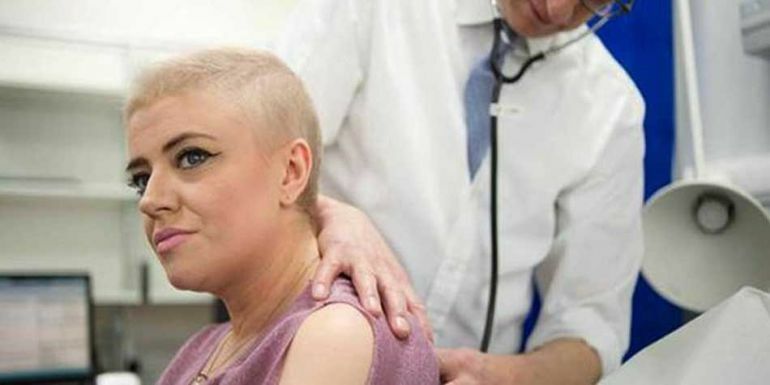 The technique, which involves putting patients in a temporary state of deep sleep, is intended to work alongside radiotherapy and other oncological treatment methods. Theoretically, a state of induced hibernation could also enhance the human body’s tolerance to radiation. While it might sound more science fiction than actual medical breakthrough, previous research has uncovered the many advantages of induced hibernation in cancer-afflicted rats. Cooling the animals’ body temperatures to somewhere between 15 and 19 degrees Celsius (or 59 and 66.2 degrees Fahrenheit), for instance, slows their metabolic processes significantly, while also improving their capacity to tolerate radiotherapy. You cannot treat all the metastasis – you cannot use surgery everywhere to remove the cancer or do radiation in all the affected parts of the body or you will kill the patients trying to destroy the cancer. But if you could put the patient into synthetic torpor [induced hibernation] you could stop the cancer growing. It gives you more time. Now it is understood how it works, I’m confident we will be able to develop drugs that can induce this torpor. We are aiming for at least one week [of hibernation]. It gives us time to deliver all the treatments that are needed to make the person cancer-free. In case of humans, the technique would entail reducing the body temperature from the normal 37 degrees Celsius (or 98.6 degrees Fahrenheit) to somewhere between 13 and 15 degrees Celsius (about 55.4 to 59 degrees Fahrenheit). The resultant increase in the body’s radioresistance would in turn allow doctors to conduct more invasive treatments without much damage to the tissues and organs. The effects of a technique like induced hibernation on cancers are hard to predict: they might help or hinder the treatments we use. We will need to see some careful experiments in laboratory models before we can say whether this would be safe or effective for people. We can currently cure around 50 percent of cancers. The problem is the other 50 percent. If this approach works, there will be many of these patients with multiple metastases who will have hope. It will be a really huge step ahead.